Morgan's Wonderland presents "The Magic of Friendship! 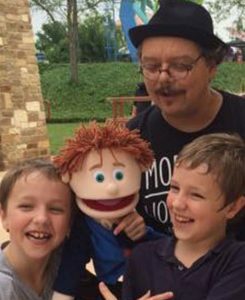 ", an interactive magic and puppet show featuring magician David Pitts and his puppet friend Hartman. Morgan's Wonderland is the world's most inclusive and accessible family fun park, and this show is all about inclusion and the power of making friends and being a friend.